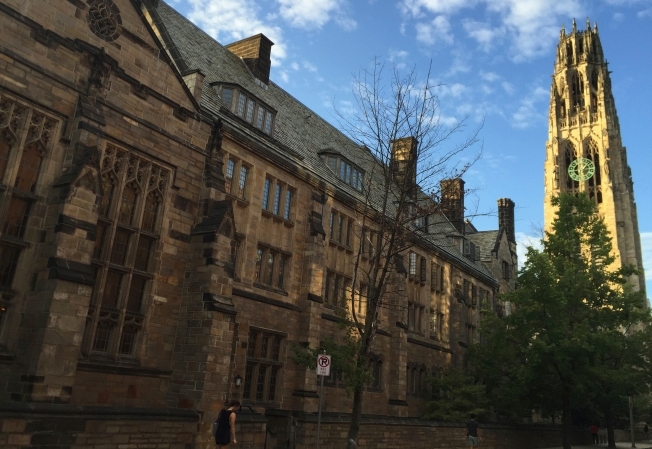 A Yale dean says the episode shows the need for efforts to make the Ivy League university "a truly inclusive place"
A white graduate student at Yale called police on a black graduate student who had fallen asleep in a common area of their campus residence — an episode that a dean said shows the need for efforts to make the Ivy League university a more inclusive place. Lolade Siyonbola posted two videos of Monday's encounter on her Facebook page, including part of a conversation with the white student who told her she was calling police after finding her on a couch in the room at Yale's Hall of Graduate Studies on the New Haven campus. After questioning Siyonbola for more than 15 minutes, police confirmed she was a Yale student who lived in the building and then left. Police told her the encounter was prolonged because her name was not spelled correctly in a database of student information. Siyonbola did not immediately respond to emails and messages on social media requesting comment. She expressed gratitude Tuesday on her Facebook page for "the love, kind words and prayers" she has received. "Black Yale community is beyond incredible and is taking good care of me," she wrote. "I know this incident is a drop in the bucket of trauma Black folk have endured since Day 1 America, and you all have stories." The videos show Siyonbola telling police the woman who called them suffered from mental illness and had called police several months ago on a friend who had gotten lost in a stairwell of the building. Siyonbola, who showed police she had a key to her room and later provided them with her ID, accused the officers of harassing her. "I deserve to be here," she said in the video. "I paid tuition like everybody else. I am not going to justify my existence here. It's not even a conversation." Lynn Cooley, the dean of Yale's graduate school of arts and sciences, sent an email to graduate students Tuesday telling them that Siyonbola had every right to be in the building and inviting them to share their concerns about the incident. "Incidents like that of last night remind us of the continued work needed to make Yale a truly inclusive place," she wrote. "I am committed to redoubling our efforts to build a supportive community in which all graduate students are empowered in their intellectual pursuits and professional goals within a welcoming environment."